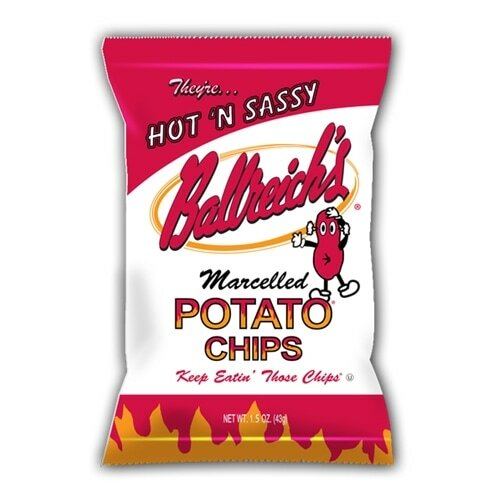 Fred and Ethel Ballreich opened their potato chips manufacturing business in Tiffin Ohio, in 1920.The operation used a copper kettle heated with wood scraps. 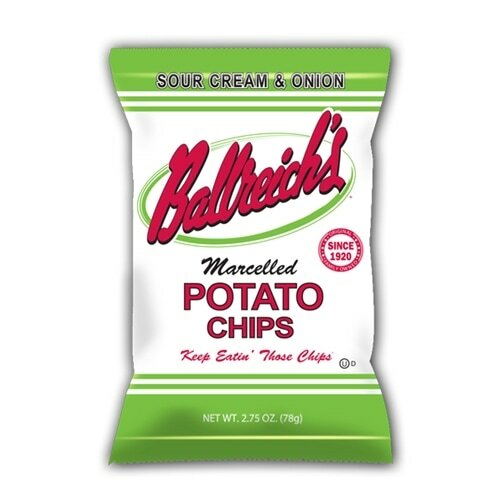 It was an all day process that produced just 14 pounds of potato chips. 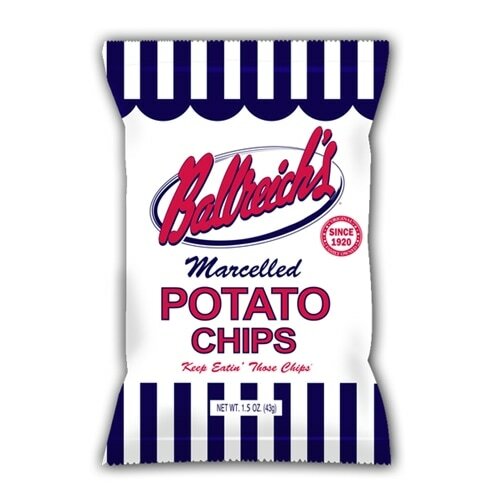 Ballreich's chose to call their potato chips "marcelled", which means "wavy", from the popular hairstyle of the period. 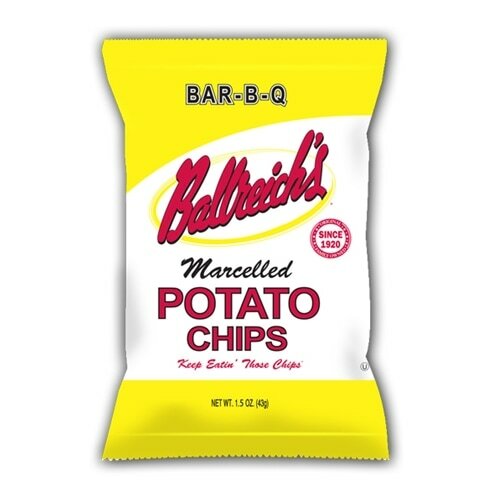 The quality of Ballreich's Potato Chips created a huge demand that could not be me so Fred's brother Carl came back to his home-town to form the joint Tiffin foods venture of Ballreich Brother's Potato Chips. 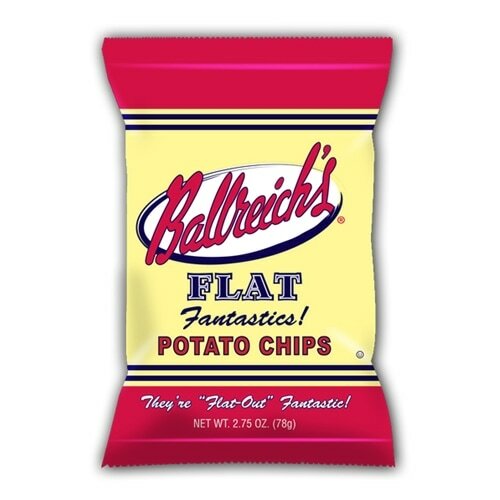 Just a few short years later, a small factory was built behind their homes. 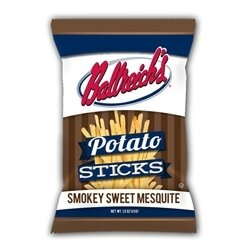 Local farmers deliver 100 pound bags of potatoes to Carl & Emma's basement for storage. 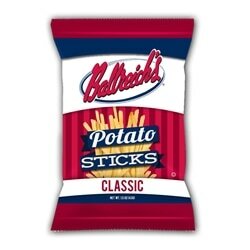 After World War II, further family members joined the chips manufacturing business, and the company expanded to a larger facility in the same location. Sacking machines were added to help chip production reach 450 pounds a day. 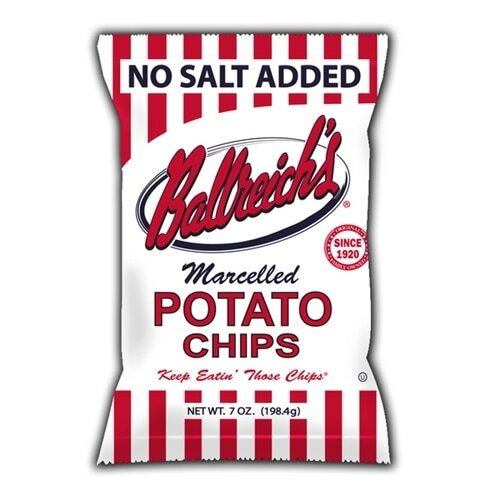 A new warehouse was built in Defiance, Ohio to better service that area. 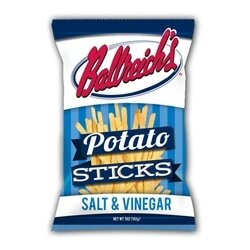 Ballreich's first automatic slicer, salter, hopper filler, and first automatic kettle were installed. Liquid shortening was introduced replacing the current solid form. 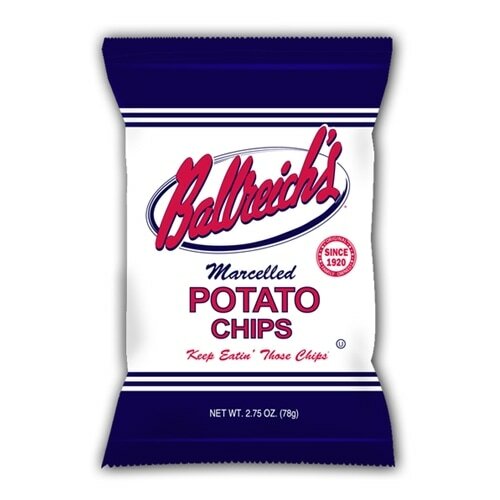 During the 1960's, a variety of other potato chip manufacturing facilities and equipment was added to further aid the company's growth. During the 1980's, a semi auto-loading dock was built. A new sacking machine was installed. ​Many new data innovations were brought on board in the 21st century including new software programs, handheld computers for sales representatives, in house graphic design, an IT department, growth in the sales & marketing departments and much more! 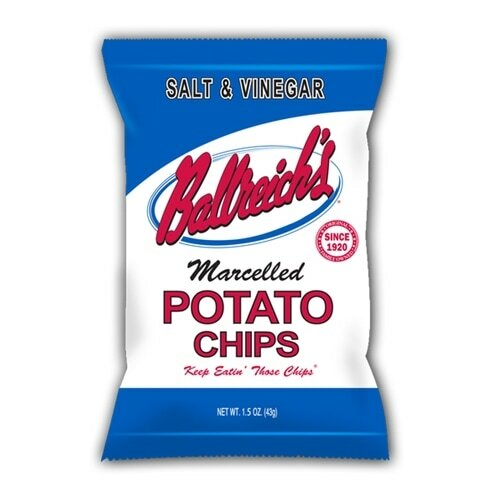 Ballreich's also expanded its area of delivery to Mansfield, Ohio.